Matt Damon, Gwyneth Paltrow, Jude Law, Laurence Fishburne and Bryan Cranston, along with medical journalist Sanjay Gupta, explore the real science of global viruses and what they mean to the human race. The world is preparing for the next biological disaster ... but is it too late? $22.403 million on 3222 screens. 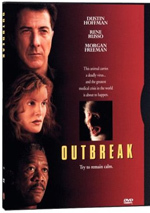 Have we gotten a big-screen “A”-list movie about a global pandemic since 1995’s Outbreak? Maybe, but if so, I can’t remember it. Director Steven Soderbergh rectifies that situation with 2011’s Contagion. 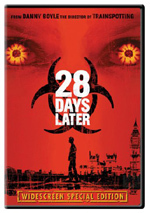 On a business trip to Hong Kong, Beth Emhoff (Gwyneth Paltrow) comes down with a virus that rapidly kills her. Home in Minnesota, she spreads this to her son Clark (Griffin Morrow) – and the rest of the world, basically, as the illness rapidly scours the globe and leaves many corpses in its wake. The story follows the virus from a mix of angles. Center for Disease Control administrator Dr. Ellis Cheever (Laurence Fishburne) tries to get on top of things and sends Dr. Erin Mears (Kate Winslet) to Minnesota to rein in the illness there, while Dr. Ally Hextall (Jennifer Uhle) spearheads efforts to find a cure/vaccine. Dr. Leonora Orantes (Marion Cotillard) heads to Asia to find the virus’s origins as well. On the civilian front, Internet journalist Alan Krumwiede (Jude Law) throws around conspiracy accusations and also claims to know a cure – one that may or may not boost his financial bottom line. Back in Minnesota, Beth’s husband Mitch (Matt Damon) highlights the human side of the virus, as he tries to lead a normal life – and also keep his daughter Jory (Anna Jacoby-Heron) alive. If you expect the action orientation of Outbreak, Contagion will disappoint. Not that anyone should expect that sort of movie from artsy Steven Soderbergh, as it seemed unlikely he’d go for a potboiling take on the topic. Indeed, Contagion manages to stay fairly cool in the face of its drama – maybe a little too cool, as the film can seem awfully detached at times. I guess I expect a movie about the possible extinction of the human race to boast a wee bit more emotion, you know? The film tends toward a clinical detachment that doesn’t serve it especially well. While I normally appreciate a lack of overheated drama, it’d be nice to get more feeling and passion from such a charged tale. Soderbergh essentially uses the same structure he highlighted in 2000’s Traffic. Hey, he won an Oscar for that flick - why not do it again? While I don’t think this format necessarily hurts Contagion, I’m also not sure it helps the film. Soderbergh managed to better balance the various subplots in Traffic, though it helped he didn’t try to juggle as many balls. Traffic essentially focused on three threads, while Contagion attempts more than that – and attempts them in less time, as it runs 106 minutes vs. the 147 minutes of Traffic. This means that characters receive precious little exposition and screen time. Some subplots feel utterly extraneous anyway; the scenes with Dr. Orantes suffer the worst, especially when the character becomes embroiled in a kidnapping event that feels like it comes from a different movie. I think Contagion would’ve been more successful if it attempted less ambition – or ran a lot longer. Indeed, Contagion often feels like a mini-series that got cut heavily to fit a feature film length. With so many characters and story threads, the tale would’ve worked better if it received much more time. Expand this thing to a four-hour cable movie and it’d have probably been more absorbing. As it stands, the flick feels rushed and thin. But that doesn’t make it bad. Even with its flaws, Contagion manages to keep us with it. Clearly it helps that the movie boasts an absolutely top-notch cast. Soderbergh enjoys such a great reputation that he can recruit “A”-list actors for his films, even the ones with lower budgets; they’ll take pay cuts to appear in his efforts. This means a whole raft of them here. Admittedly, Contagion isn’t super-heavy on star power. This isn’t an Ocean’s film, so mega-celebrities like George Clooney, Brad Pitt and Julia Roberts don’t show up. The highest wattage comes from Damon and Paltrow, I suspect, so this isn’t quite the “A-list Fest” we got from the Ocean’s movies. But the cast does teem with definite “B+” actors – in terms of star power - and plenty of awards. Paltrow, Winslet and Cotillard all won Best Actress Oscars, while Fishburne, Damon, Law, John Hawkes and Elliott Gould have all enjoyed Academy Award nominations for their acting as well. (Damon won an Oscar for Good Will Hunting, but he got that for writing, not acting.) The presence of so much talent adds depth to the film and helps make it seem more substantial. The actors can’t quite overcome the movie’s negatives, though. 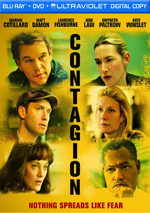 Contagion takes on a fascinating – and terrifying – topic, and it delivers a reasonably interesting experience. However, it rushes through its many subplots at an extreme pace, and it lacks the drama to make it better than just “pretty good”. Contagion appears in an aspect ratio of approximately 1.85:1 on this Blu-Ray Disc. The image looked fine but not great. Sharpness was the main minor issue. Most of the movie showed positive clarity and delineation, but wide shots tended to be just a bit soft. These instances weren’t a big distraction, though, and the flick delivered generally good definition. I saw no signs of jagged edges or moiré effects, and the movie lacked edge haloes. Shot digitally, the presentation also showed no source defects. Like many Soderbergh flicks, Contagion went with a heavily stylized palette. Each shot/location tended toward one dominant hue, and these changed all the time. One might opt for sickly green, while another would go amber and another would use chilly blue. The Blu-ray presented the tones with appropriate clarity. Blacks were reasonably dark, and shadows showed nice delineation. This was a consistently positive image; it just didn’t dazzle. Similar feelings greeted the film’s DTS-HD MA 5.1 soundtrack. Music and dialogue dominated the soundscape, so don’t expect a killer mix. The score used the speakers well, and the effects fleshed out the environment in a positive manner. Material tended toward the environmental side of the street, as livelier sequences popped up infrequently. Still, the mix offered a good sense of place, and the occasional semi-dynamic sequence – such as riots and military elements – boasted a strong impression. Audio quality was always top-notch. Music sounded warm and full, while effects were clear and accurate. When necessary, the track featured tight low-end response. Speech sounded natural and distinctive. This was a perfectly acceptable soundtrack; it just didn’t do anything especially impressive. Three featurettes appear. The Reality of Contagion goes for 11 minutes, 29 seconds and offers statements from producers Stacey Sher, Michael Shamberg and Gregory Jacobs, senior technical advisors Mark Brilliant, W. Ian Lipkin and Laurie Garrett, writer Scott Z. Burns, Global Viral Forecasting director Nathan Wolfe, technical advisor Mark Smolinski, production designer Howard Cummings, reporter Sanjay Gupta, and actors Kate Winslet, Matt Damon, Gwyneth Paltrow, Jude Law, Marion Cotillard, Chin Han, Jennifer Ehle, Bryan Cranston and Laurence Fishburne. “Reality” looks at the facts behind the movie’s fiction and gives us notes about viruses and the potential for a global pandemic as well as research and the film’s attempts at realism. Though the piece tends to be rather glossy, it gets into some interesting topics and throws out some decent details. “The Contagion Detectives runs four minutes, 57 seconds and features Sher, Winslet, Cotillard, Burns, Jacobs, Brilliant, Garrett, Smolinski, Cranston, Lipkin, Law, Ehle, Cummings, and Fishburne. “Detectives” looks at more research and realism in the film, with an emphasis on the scientists who work to thwart the outbreak. Like “Reality”, it tends to be somewhat fluffy, but it throws out a reasonable amount of information. Finally, How a Virus Changes the World lasts two minutes, one second. It delivers a brief look at how viruses develop and what would happen if one occurred. It’s cutesy and kind of obnoxious. A second platter provides both a digital copy of Contagion for use on computers or digital portable gadgets as well as a DVD copy of the film. This delivers a barebones package, so don’t expect any extras. With plenty of Oscar-winning talent both behind and in front of the camera, Contagion boasts a much higher pedigree than the usual thriller. Despite that strength, the film seems too hurried and objective to become a great movie; it’s consistently interesting but spotty. 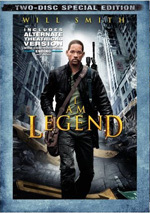 The Blu-ray offers good picture and audio but skimps on supplements. I’d recommend a rental of this one if the subject interests you, but don’t expect anything scintillating.